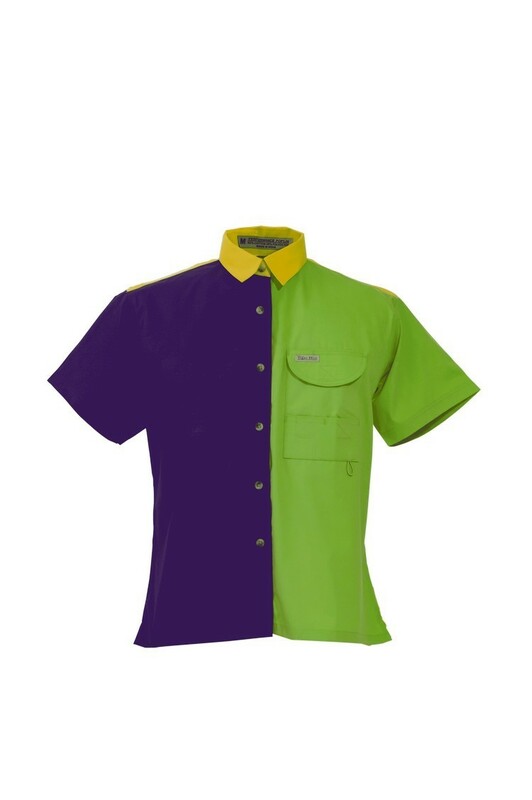 Made using our Yellow, Purple & Lime Green 4.2 ounce, 52/48 cotton/poly, stain & wrinkle resistant lightweight performance fabric. Two extra large chest cargo pockets and two additional lower pockets with extra loops to carry all of your fishing accessories. Vented back allows air to circulate freely and enhances freedom of movement. Wood-tone buttons. Back has Velcro closure for easy embroidery. Straight cut for that feminine look.